Part III. Unmet Need in People with Specific Disorders; and Part IV. 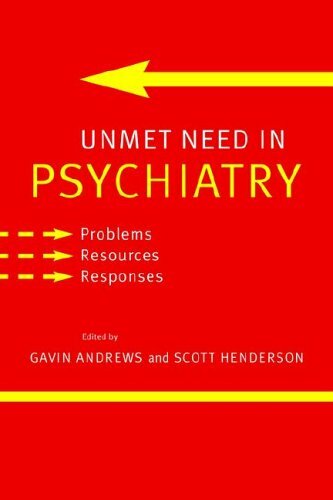 Unmet Need: Specific Issues. Meeting unmet needs: can evidence-based approaches help? Is complementary medicine filling needs that could be met by orthodox medicine? Alcohol-use disorders: who should be treated and how? Why are somatoform disorders so poorly recognized and treated? Unmet need in indigenous mental health: where to start?